PALATINES TO AMERICA was founded in Columbus, Ohio, 12 July 1975. Beginning with a nucleus of 47 from throughout the U.S., the society now has about 1,000 members. It is incorporated as a non-profit organization under an Ohio Charter, and, along with its conforming Chapters, is an approved charitable organization under Section 501(c )(3) of the Internal Revenue Service Code. *The PURPOSE* of this society is to promote the study of Germanic immigration to North America, to publish information of general interest, and to provide a means for members to exchange information and share research. *An ANNUAL NATIONAL CONFERENCE* is held each year usually in June. Speakers, seminars, resource persons, and fellowship with other members fill two or more days. *An ANNUAL NATIONAL MEETING* is held in conjunction with the conference, with reports from officers and committees and election of officers. *CHAPTERS* are organized to encourage personal participation, to make possible more fellowship, and to provide easy access to local workshops and research within an area. Most chapters publish a newsletter, print publications, and hold conferences, workshops, and seminars. Currently, Palatines to America has chapters in Colorado, Indiana, New York, North Carolina, Ohio, and Pennsylvania. ROBERTA NEWCOMER (2018-2020) has been researching the surnames Neukommet/Newcomer, Gochenour/Coughenour, Hirtzel/Hartzell, and Brandt for over 25 years. She has conducted family research at the National Archives in Washington, D.C., the Family History Library at Salt Lake City, the Pennsylvania Archives in Harrisburg, The Carnegie Library in Pittsburgh, and the Ohio Historical Connection Archives in Columbus in addition to the Pal-Am collection at the Columbus Metropolitan Library. 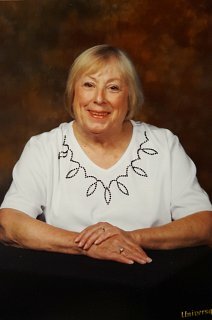 She is a founding member of the Pal-Am Kocherthal Circle and was inducted into Pioneer Families of Western Pennsylvania. Roberta is a Past President of the Ohio Chapter of Palatines to America.